And is there any way that i can find out the true ovrs of the players here? I got the 92 ovr BM Rudy Gobert but i already have the lvl master Drummond, so which one should i keep? 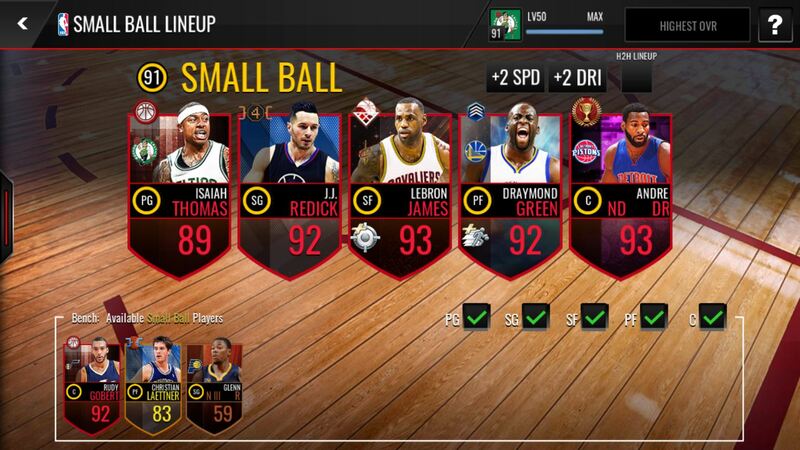 I totally agree man, it's been my favourite live event since i started to play, Some of the best players that i got were Rudy Gobert 92 ovr, Peja Stojakovic 90 ovr, Isaiah Thomas 89 ovr, Kyrie Irving 89 ovr, Chris Paul 89 ovr, Wesley Matthews 87 ovr etc, but sure there where some of the worse pulls like Enes Kanter 84 ovr or some golden players. But in the end i think the event is really profitable if you are patient to keep trying to get the player you are chasing after. NeIsGaming posted a message on Do you usually complete big moment set? NeIsGaming posted a message on BEST Big Man Power Forward?? ?